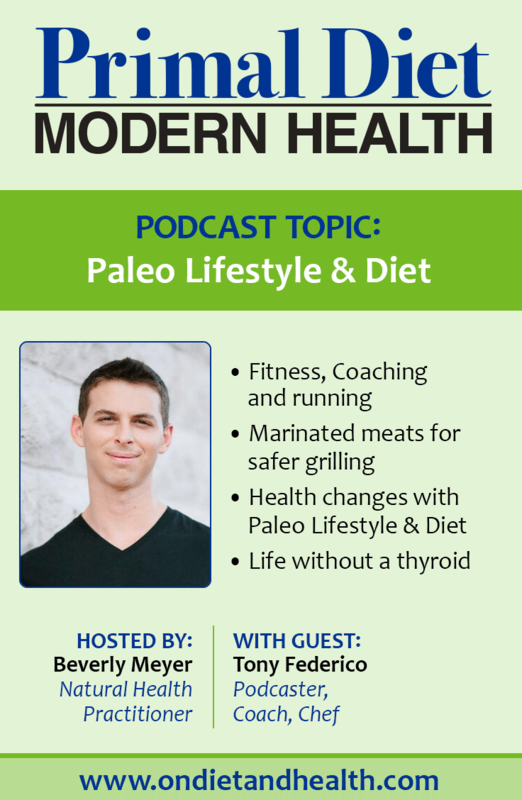 Tony Federico podcasts for Paleo Magazine and is the author of “Paleo Grilling” cookbook. I turn the microphone around on a fellow podcaster here and talk with Tony about his passions and history. 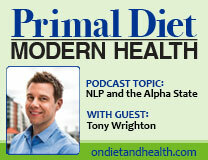 In addition to podcasting for Paleo Magazine, Tony writes for the magazine under the “I Inspire” byline and the “Business Spotlight”. 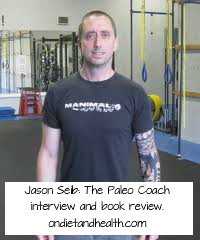 As a go-to writer and a Certified Health and Fitness Specialist, he was a natural choice to lead the podcasts for the magazine. 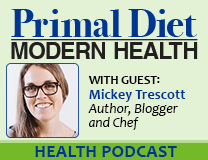 He also led the group editing the “Reader’s Favorites Cookbook” for Paleo Magazine. 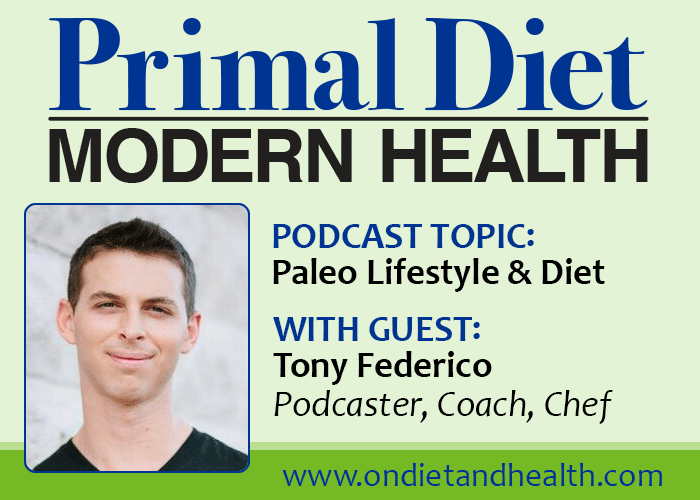 Talking with Tony Federico about feet, fitness, food and more…. How it feels to live without a thyroid gland! And, of course, his passion for empowering others to deal with self-limiting beliefs. Where do I find Tony Federico? Tony’s original website name is “Fitness in an Evolutonary Direction”. He now blogs as “Live Caveman“. There are recipes on his website too that fit my requirements for easy, fast and sustaining food. Check them out here . His cookbook “Paleo Grilling: A Modern Caveman’s Guide to Cooking With Fire” is available at Barnes & Noble and here on Amazon. Find his Facebook page and Twitter pages here and enjoy getting to know Tony FED.